A judge in Brazil's state of Minas Gerais has frozen close to $120 million worth of assets belonging to mining giants BHP Billiton (ASX:BHP) and Vale (NYSE:VALE) to cover "material and moral damages, individual and collective" caused by the bursting of a dam at their jointly owned mine in November. 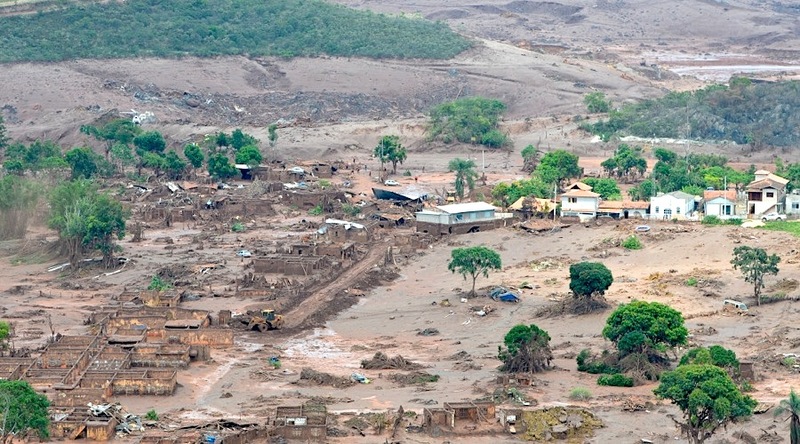 Friday's ruling affects mainly the Vale-BHP joint venture Samarco, which operated the iron ore mine where the dam breach occurred, Noticias de Mineracao reports (in Portuguese). Samarco told the Brazilian publication it had not been officially notified yet of the decision, which essentially means it can’t sell or transfer mining rights. The order to freeze the money was granted after a request from public prosecutors in Barra Longa. The dam burst, which turned into Brazil's worst ever environmental disaster, killed 16 people, left hundreds homeless and polluted a river 800 km (500-miles) long that flows across two states. Despite the scale of the disaster, Vale argued Samarco, as an independent legal entity and a sizable company in its own right, was wholly responsible for the accident and the subsequent damage and fines. There has been growing frustration over delays in providing compensation or repairing damage to those affected by the disaster. A similar ruling in December assigned “environmental responsibility" to BHP Billiton and Vale as "indirect polluters" because they were controlling partners of Samarco. That decision did not specify the value of assets that had been blocked, but media speculated at the time the amount was likely to be over half of the $5 billion sought in damages by the federal government and the states of Minas Gerais and Espirito Santo.